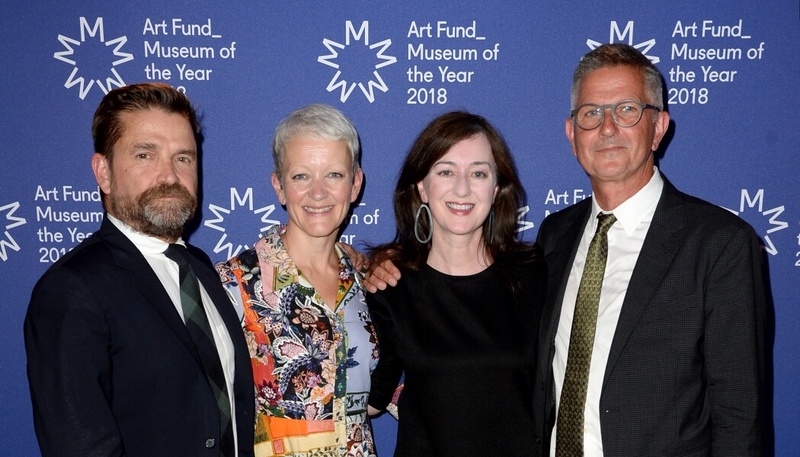 The Art Fund Museum of the Year is the biggest museum prize in the world and seeks out and celebrates innovation, imagination and exceptional achievement in museums and galleries across the UK. Tate St Ives reopened in October 2017 following a £20m refurbishment of its galleries and the addition of a new extension by architect Jamie Fobert. The gallery celebrates the important contribution of 20th-century artists who lived and worked in Cornwall. As well as the new spaces Tate St Ives offers, judges were impressed by its connectivity to communities across the county. Tate St Ives’s renewed engagement with the local community, the said, who played a central role in the 12-year consultation which informed the gallery’s architectural scheme, has meant that more than 7,000 people have registered for the new annual St Ives Locals Pass. Judge and artist Melanie Manchot, said that as soon she walked into the redeveloped Tate St Ives she had an ‘amazingly strong feeling that they’re doing something innovative’. She said she had visited before ‘but now the whole building, the galleries, the views all feel different – they have been given a new lease of life’. Last year’s winner was The Hepworth Wakefield, which intends to spend the prize money on a new acquitition and to go towards a new landscaping project. Previous winners include the V&A (2016), The Whitworth in Manchester (2015) and Yorkshire Sculpture Park (2014).